A trio of astronauts soared into orbit Friday bound for the International Space Station, with their Soyuz spacecraft delivering some fancy French food, a saxophone and the future female commander. 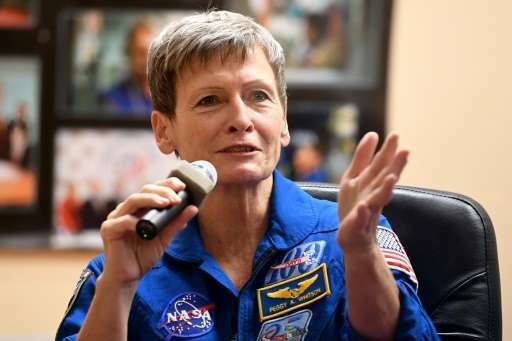 NASA veteran Peggy Whitson, French rookie astronaut Thomas Pesquet and Russia's Oleg Novitsky blasted off at 2:20 am local time Friday (2020 GMT Thursday) from the Baikonur cosmodrome in Kazakhstan and are expected to dock at the orbital laboratory at the weekend. Russian space news agency Roscosmos said in a statement that the launch had been "successful" and that the spacecraft would arrive at the ISS on Saturday at 2201 GMT. The three will carry out ISS Expeditions 50 and 51 and return home after six month, in May 2017. This mission is Pesquet's first space flight, but he is accompanied by veteran astronauts. The 38-year-old former Air France pilot, who spent seven years training for a trip to space, posted a "LastSelfieOnEarth" photo on the European Space Agency's Facebook page in the hours ahead of launch. 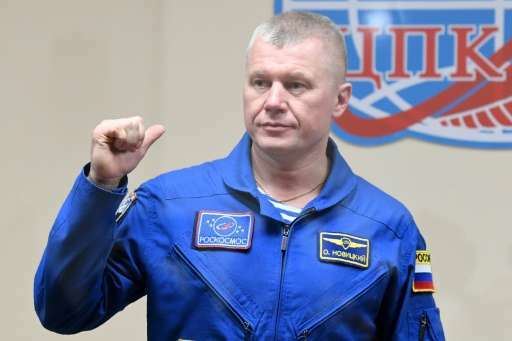 Novitsky, a 45-year-old making his second ISS trip, was born in Belarus and will carry a Belarus flag with him on his second ISS trip, official media there said. Social media was abuzz about the records that the trailblazing Whitson is due to break on her third ISS mission. She will take command of the ISS in March 2017, a role she already held back in 2007, becoming the only woman to lead it twice. And she will be the oldest woman ever in space—turning 57 while still aboard the ISS. In addition to his saxophone, Pesquet is carrying coveted cargo from his home country: a selection of gourmet dishes by world-famous chefs Alain Ducasse and Thierry Marx. "We will have food prepared by a Michelin-starred chef at the station. We have food for the big feasts: for Christmas, New Year's and birthdays. We'll have two birthdays, mine and Peggy's," the Frenchman said at the astronauts' last press conference before the launch. Whitson said the fancy French food would be a welcome change on the ISS. "I think the thing that I find the most challenging about space flights is the lack of variety of the food," said. But above all she stressed the international cooperation embodied by the space missions. "I think quite the most important thing about it, it's the demonstration of what people can do together." Novitsky agreed. "The ISS is both a home and a place of work. It's also a place for friendship, for showing to the world that we can work together and have good relationships," he said. Russian cosmonaut Oleg Novitsky said the International Space Station was a "home and a place of work" but also "a place for friendship"
Russia is currently the only country carrying out launches to the International Space Station via its workhorse Soyuz rocket that uses the Baikonur cosmodrome, located on the arid steppes of western Kazakhstan. The astronauts' final preparations late Thursday included the painstaking task of putting on their spacesuits, a two-hour ordeal, before heading to the launchpad. The launch of the international trio had been postponed by two days and follows in close footsteps a previous launch in October of Russians Andrei Borisenko and Sergei Ryzhikov and American Shane Kimbrough. That blast-off was pushed back by nearly a month due to technical issues. 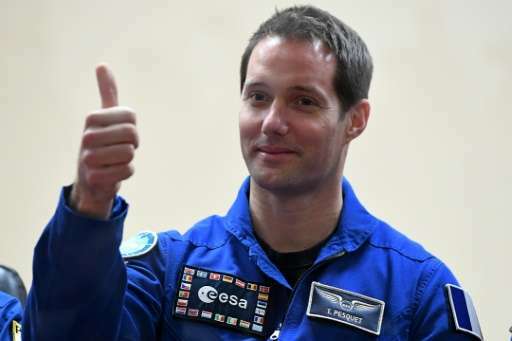 Pesquet, who is the first French national to be sent by the ESA since 2008, said he still "can't believe" he's headed to the ISS. "I need to be seated in the cockpit and feel the vibrations of the launch," he said.